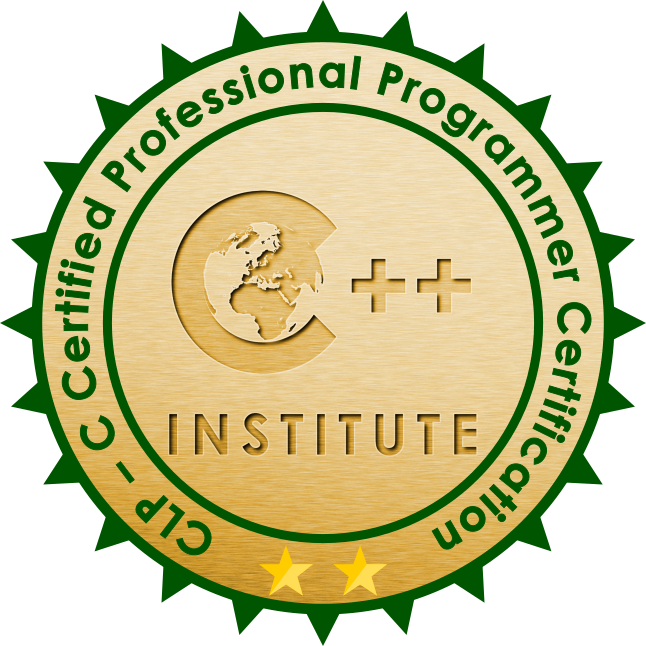 C Certified Professional Programmer (CLP) is a professional certificate that measures your ability to accomplish coding and design tasks related to advanced topics of the C programming language, as well as advanced programming techniques, including the library functions and the usage of the preprocessor. To learn more about exam objectives and study resources, locate a test centre that is near you, or schedule your exam, please click on the buttons below. C++ candidates must reschedule and cancel exam appointments at least one full business day (24 hours) before the appointment via the Candidate website (www.pearsonvue.com/cpp) or the Call Centre (+44 161 855 7483). Appointments must be rescheduled within the authorised exam delivery period. All registrations with special requests must be rescheduled or canceled through the Call Centre. No automatic time extension is given to candidates who reside in a country where the first language is not English. When a candidate fails an exam, he or she must wait 15 days before being allowed to re-sit that exam. There is no limit to the number of times a candidate may retake an exam. No retakes of a passed exam of the same exam version are allowed. 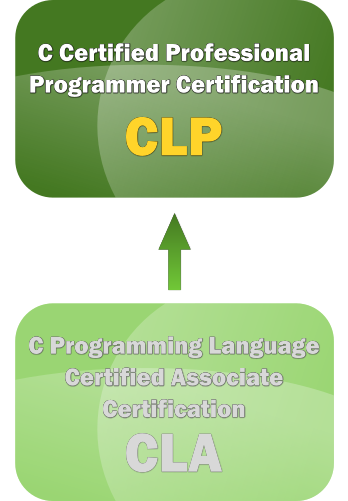 Each candidate who has paid the full exam price (USD 295), or has completed the CLP course in the self-study mode (50% discount voucher) in the C/C++ Education Platform, is eligible for a free retake of the CLP exam. A candidate who meets the above criteria and wants to receive a free voucher to re-sit a failed exam must fill out and submit the Re-take Voucher Request Form no later than 30 days after failing the exam. A voucher entitling the candidate to a free retake of the exam will be sent within 7 days of receiving the request. The voucher is valid for at least 45 days. Need help starting your Pearson VUE web account for C++ Institute exams? Don’t know how to connect your Pearson VUE web account with your C++ Institute student account? Not sure how to schedule an exam? Check out our tutorials!